Hello there. Sorry this is late; after uploading last week’s post I got a message saying no more posts until I freed up some space. Hopefully this one will upload. I am making headway on the space issue, and thanks are due for that to Paul Godden, who commented on last week’s post and pointed me in the direction of Flickr. I’m now hosting my photos there and linking to them from here. Genius! And they have a LOT of space at Flickr. Thanks again Paul. The photos are slowly being moved. 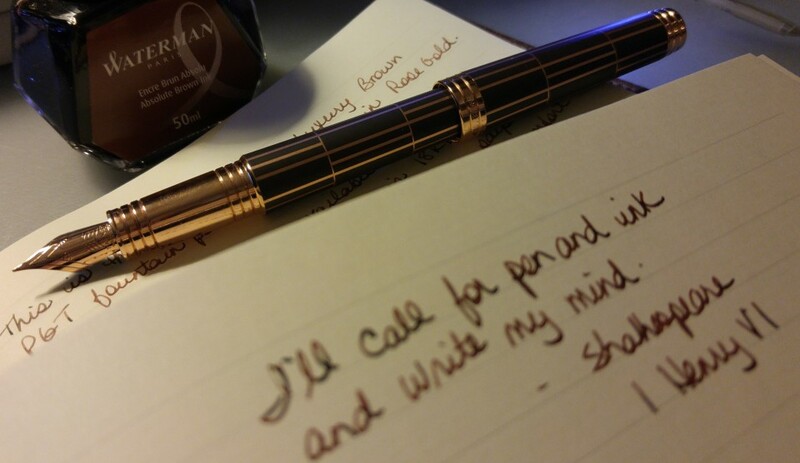 I wanted to write today because it is National Handwriting Day! Today we celebrate the practice of handwriting with a pen or pencil, on John Hancock’s birthday. And on the 41st anniversary it looks like the US congress is supporting their efforts. Let’s hope this signals a shift in thinking in regards to bringing back the teaching of cursive in schools. Goulet Pens is giving away a Lamy 2000 gift set to celebrate. Fun stuff! More along the handwriting vein: a review of Kyo Maclear’s book The Letter Opener by Liz over at the Wonder Pens blog. My local library does not have a copy but I have flagged it on Goodreads as one I want to read. It is 1989 and Naiko is working in the Undeliverable Mail Office, looking through the contents of letters and parcels for clues as to the address to which the items belong. When her friend and coworker vanishes Naiko tries to piece together what might have happened. There actually is such an office at Canada Post; I was contacted by them many years ago when a box of personal items was undeliverable. When opened there were quite a few letters bearing my name and address. They belonged to a dear friend of mine. When they phoned I was deeply touched he had kept them and equally sorry I could not help them find him, as we had lost touch many years before. I offered to take the items off their hands and do further research but they, rightly, rejected that idea. The box was not mine to claim. I hope somehow the box found its way back to him, along with my letters. I hope you wrote something by hand today, and that you enjoyed the pen, the paper and the fluid joy of it. I know I did.